Driving while under the influence of alcohol or any other intoxicating substance is a criminal offence in Australia. 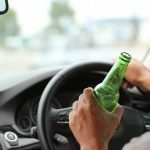 If you are caught driving or in charge of a motor vehicle after consuming a certain amount of alcohol, or another intoxicating substance, you may find yourself facing drink driving charges. There are several different drink driving charges, depending on the circumstances and the level of alcohol involved, and the system can be confusing. People are often particularly unclear about the difference between PCA and DUI charges. Although these charges both concern driving while under the influence of alcohol, they are generally used in different situations. PCA charges are common if you have been caught during a police breath test, or by other means where there is a specific reading of the concentration of alcohol in your blood at the time. Low range PCA is defined as a blood alcohol concentration (BAC) of 0.05 to less than 0.08. Mid-range PCA is used for those found with a BAC of 0.08 to less than 0.15. High range PCA is used when someone is found driving a vehicle with a BAC of 0.15 or higher. There are also a number of other classifications of PCA offences, including novice range PCA and special range PCA, which apply for those who are on a provisional driving licence or who are found with a BAC of less than 0.05 and fall into a special category. You do not need to have been seen driving erratically or in a reckless or dangerous manner to be charged with a PCA offence. Different levels of PCA charges come with different penalties, from a fine and disqualification to imprisonment. If you have been charged with a PCA offence, it is sometimes possible to get the charges reduced from high to medium range or from medium to low range. It is also possible to have the charge dropped on the basis that your blood alcohol concentration at the time of driving was below the prescribed concentration – eg below 0.05 – at the time you drove rather than later when you were tested on the breath analysis machine. The penalty you are likely to receive for a PCA charge will depend on a number of factors, including your driving history and the circumstances surrounding the incident, such as whether anyone else was injured as a result. If you are found guilty of a PCA charge you will be disqualified from driving for a minimum period of time, unless you can successfully have the matter dealt with under a section 10 dismissal or conditional release order. The disqualification period you are facing can vary from three months for a first time low range offence, to lifetime disqualification for more serious offences including repeat offences. If you have been charged with a PCA offence, it is important to make sure that the police acted in accordance with their regulations to obtain an accurate reading, as this is not always the case. Driving under the influence is usually used in situations where it isn’t possible to get an accurate reading of your blood alcohol level. This can be because too much time has elapsed between you driving a vehicle and the breath test being administered, because police didn’t abide by standard procedures when performing the breath test, or because the reading was inconclusive. 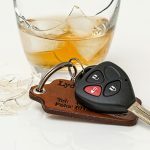 When assessing DUI charges, your driving behaviour is usually taken into consideration as the primary form of evidence. This is given through accounts from witnesses and police, along with anyone else who may have been involved in the matter. 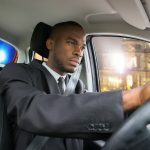 DUI charges can be brought not just for alcohol-related incidents, but for cases where it is believed that a person was driving while under the influence of an illegal drug or other intoxicating substance such as prescription medication. 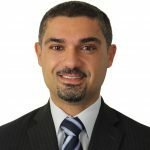 DUI charges come with similar penalties to PCA offences, and if you are convicted of DUI, you could find yourself facing disqualification from driving along with a fine, a good behaviour bond, or in serious cases, a potential prison sentence. 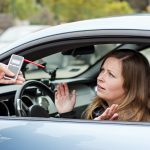 What can I do if I’ve been charged with PCA or DUI? If you have been charged with any drink driving offence, you will face a disqualification period if you are convicted. It is important to seek the advice of an experienced traffic lawyer who has a proven track record of successfully defending DUI or PCA charges. It is possible to successfully defend yourself against these charges in many situations, and you may be able to avoid being disqualified as a result.